SANTA FE – Celebrate National Hunting and Fishing Day on Sept. 22 by going fishing. It is a day to fish for free in New Mexico, a special day when all anglers­­ – residents and nonresidents of all ages can fish without a license at public waters statewide. All other fishing rules apply. 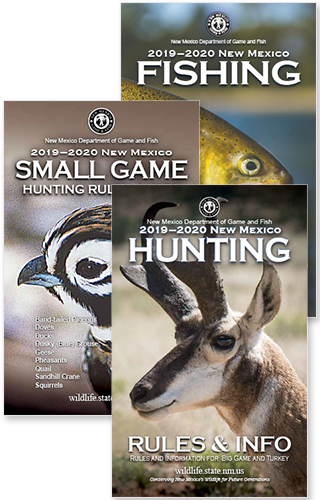 “We want to encourage New Mexicans to take their families outside to enjoy their wildlife resources and celebrate National Hunting and Fishing Day. A day of free fishing is a great way to do that,” Director Mike Sloane said. Adults and teens interested in learning to fly-fish in New Mexico are invited to the Pecos National Historical Park. The Trout Unlimited – Truchas Chapter and department staff will help you learn to how to cast, tie knots, identify the best fishing holes and how to care for a fly rod. Beginners are welcome and all equipment is provided for the workshop. Call the park offices (505) 757-7241 to reserve a spot. Also, as part of the celebration, families are invited to Cub Scout Adventure Day on Saturday, Sept. 22, in Albuquerque from 9 a.m. to 1 p.m. The Great Southwest Council, Boy Scouts of America and New Mexico Department of Game and Fish staff are offering several free, fun outdoor recreation activities such as air rifle shooting range, archery, spin-casting and a chance to ride an off-highway vehicle simulator. The free adventures take place at 5841 Office Blvd. NE, Albuquerque. For more information contact mary.maza-andersen@scouting.org, (505) 345-8603. For more information about places to fish Saturday, check out this week’s Fishing and Stocking Report, available on the department website, www.wildlife.state.nm.us.